Check out this post from Pennrare. 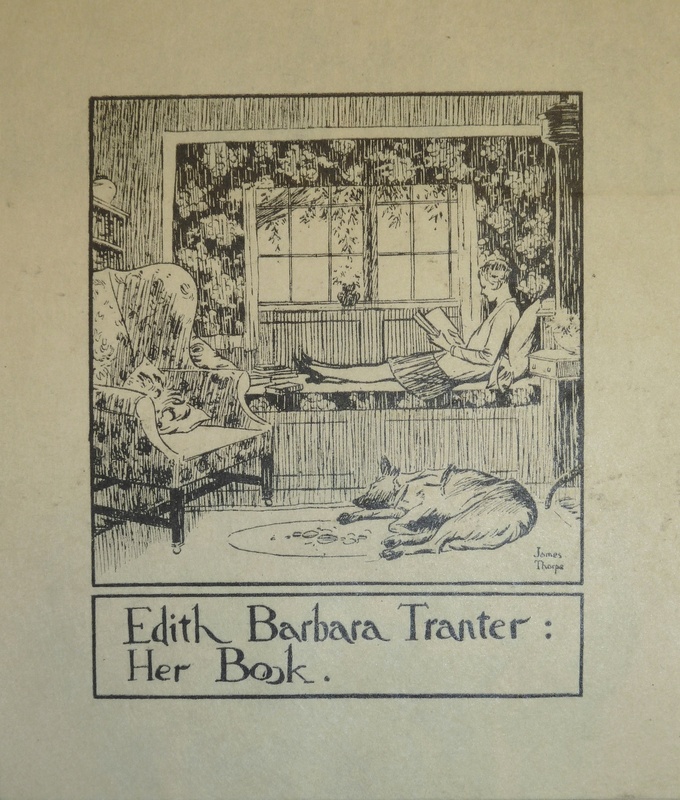 Bookplate of Edith Barbara Tranter. Edith Barbara Tranter was secretary to W. T. H. Howe (1874-1939), president of the American Book Company in Cincinnati, and subsequently administrator of his estate. She appears herself to have collected books and manuscripts; her library was sold at auction by Parke-Bernet on March 18, 1952.